Specialists from The Canterbury Auction Galleries valued a continuous steam of interesting antiques, raising Â£500 for the Pilgrim's Hospice. 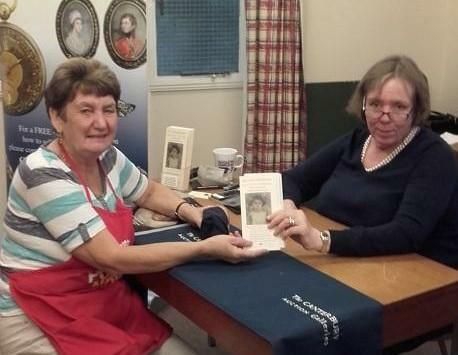 The ANTIQUE VALUATION took place on Saturday 17th September at Church House, Birchington. 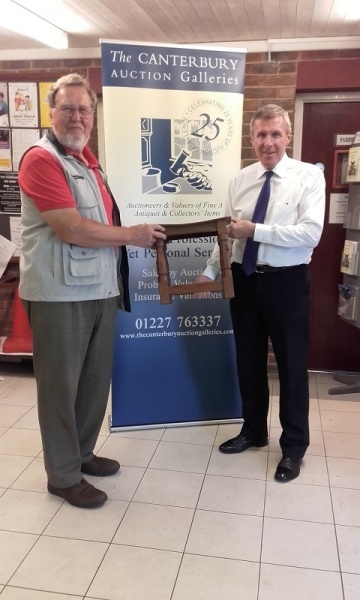 A continuous stream of members of the public brought interesting antiques to be valued by the specialists from The Canterbury Auction Galleries, Tony Pratt and Tina Rickham. Of particular interest was an oak stool made by Robert Thompson, a British furniture designer and maker (1876 - 1955), who is well known as "the mouse-man" because most of his furniture has a small mouse carved into the wood. There were also stalls selling antiques, bric-a-brac, carved wooden gifts, greetings cards and cakes. Refreshments were available throughout the day.